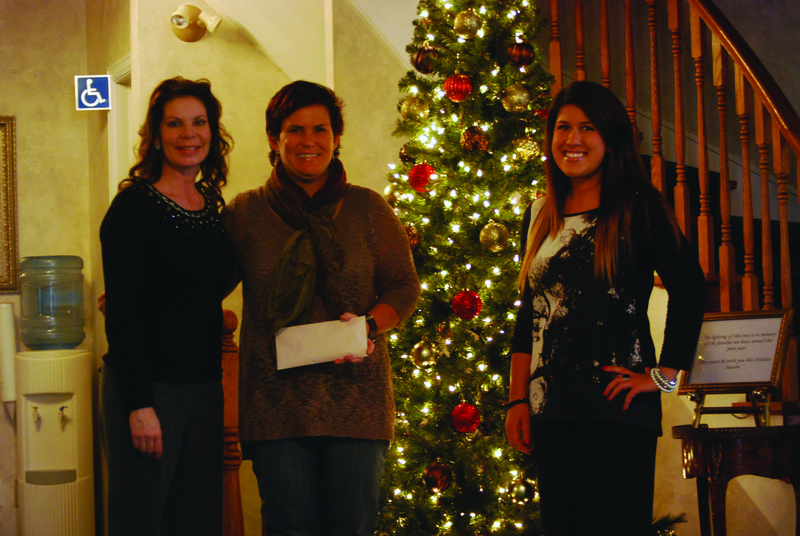 On Nov. 18, the James L. Pedlar Funeral Home hosted a fundraiser for Pelham Cares. This Ladies Night-Holiday Open House raised over $800.00 as well as collected additional non-perishable food items. Dazzling the night was wine, cheese, sweets, jewelry and pottery, along with a silent auction of donated goods. Professional speakers provided education on funeral pre-arranging and medical advocacy and navigation for senior care. Special thanks go out to Vanessa Shannon from the funeral home and Andrea Goertzon from Niagara Health Partners for their “Edu-tainment”. Tina Sidler, owner of the James L. Pedlar Funeral Home, would like thank all the locally owed businesses for their support and for their generous donations to the silent auction. “The idea was to get some lady’s out for an enjoyable evening. Have some fun, sample some cheese and wine, do some shopping and get informed — all while raising money for Pelham Cares,’ Sidler said.